Happy Monday! I don't know about where you live, but August has not been very August-like here. It feels more like early June than the middle of summer! 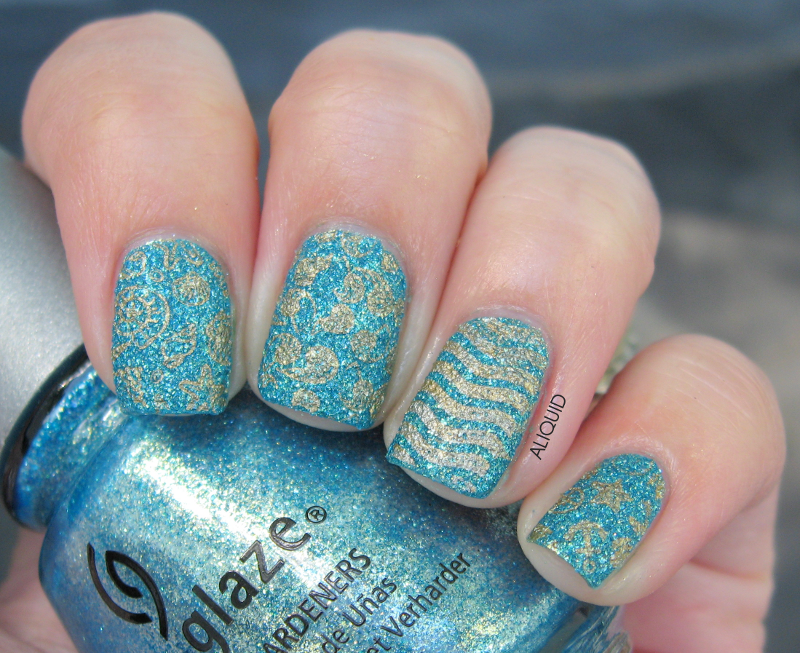 To make up for that, I thought I would do a mani that reminds me of the beach. Last weekend we actually got to visit the beach in our town for the first time since we moved here. 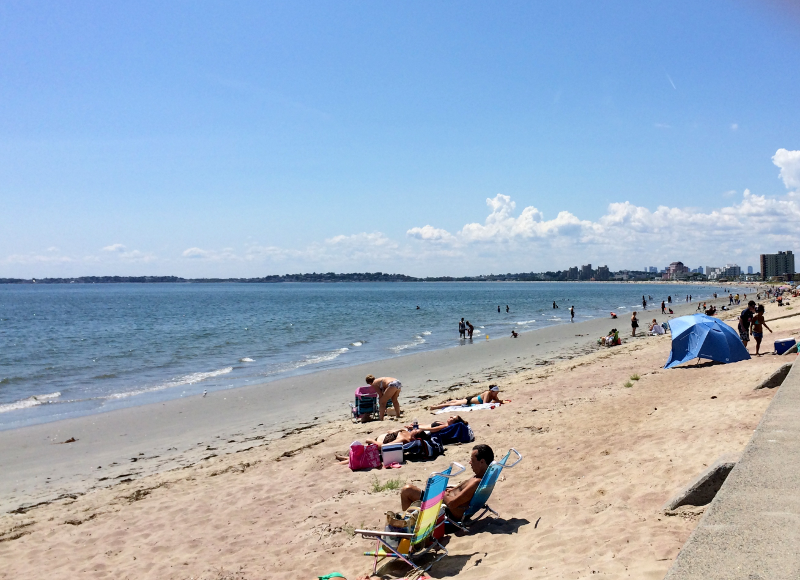 It's the oldest public beach in America! 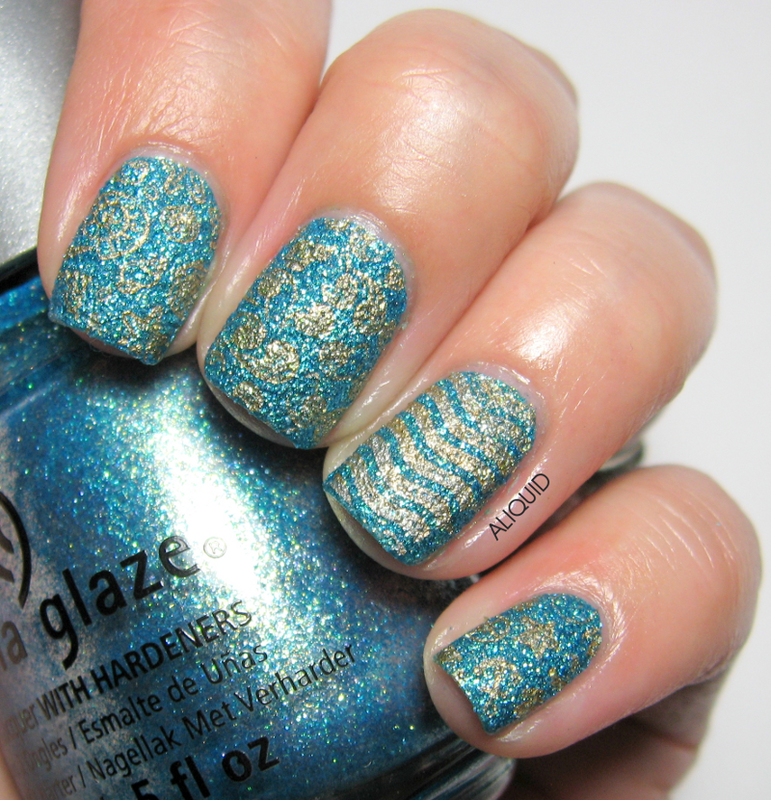 For my mani I started with a base of China Glaze Seahorsin' Around, a bright aqua textured polish with gold sparkles. I added some stamps from the MoYou London Sailor 04 plate using Maybelline Bold Gold. It's a little hard to see the stamps here, but there's a variety of seashells, starfish and other beachy stuff. The pictures don't do justice to how sparkly Seahorsin' Around is. Definitely recommended if you like more in-your-face textured polishes! 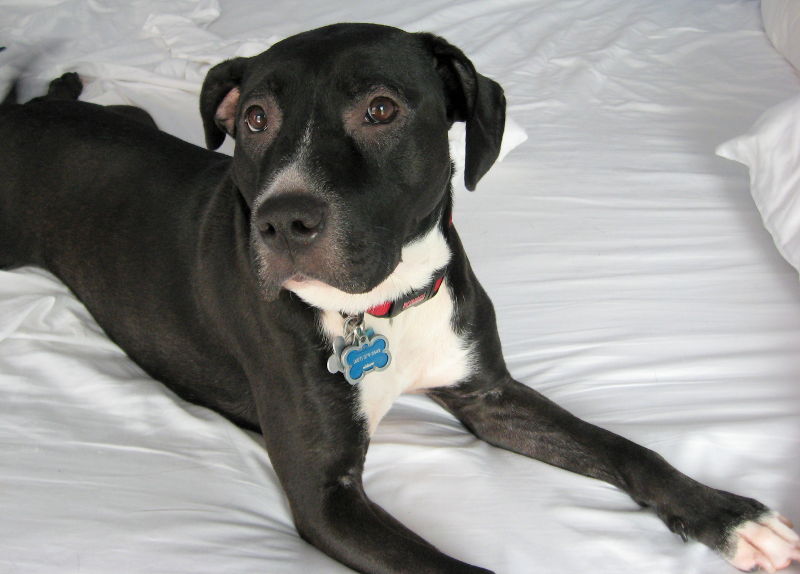 Last but not least, here's Trudy hanging out in bed (she likes to sit there and look out the windows onto the street, just to make sure there are no bad guys hanging around)!